You are the best dad in world..
I’m so grateful that I have you as a Dad. Happy birthday to my favorite Daddy. Thank you for being a kind and caring Father. I count myself lucky for having such a special friend. I wish u all the best in life and long life. U r the reason i’m here and everything what i am. Thank you 4 what u done 4 me. 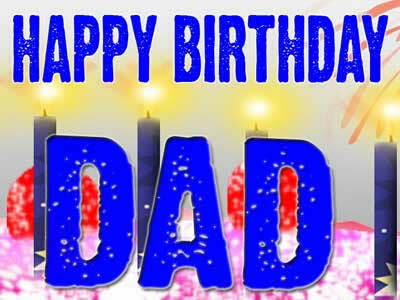 Wish you a Happy Birthday Father! may almighty shower u with blessings on ur BIRTHDAY.luv u aiways..